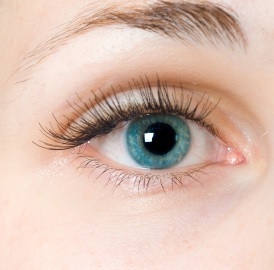 Lash Extensions add length, thickness and fullness to natural eyelashes. Longer lashes will make your eyes more open and will give them an enlarged look. Often without the hassle of mascara! Touch-ups are recommended every 3-4 weeks. Individual lashes (number of lashes varies) are dipped into a medical-grade adhesive and bonded to your natural eyelash. This process is done one lash at a time, Appointment times range from 1 1/2 to 2 hours in length for your initial set and 30min to 1 hour for reapplication. The adhesive can last about 2-4 weeks depending on how careful you are (the more you rub your eyes, wash your face, etc. the quicker the adhesive will wear off). If you get regular touch-ups (re-application of adhesive and lashes) the lashes can last longer. Our eyelash extensions are available in multiple shape styles, length,thickness and level of curl custom designed by you. Options allow you create a more natural look, or an ultra-glam look perfect for every occasion and mood!